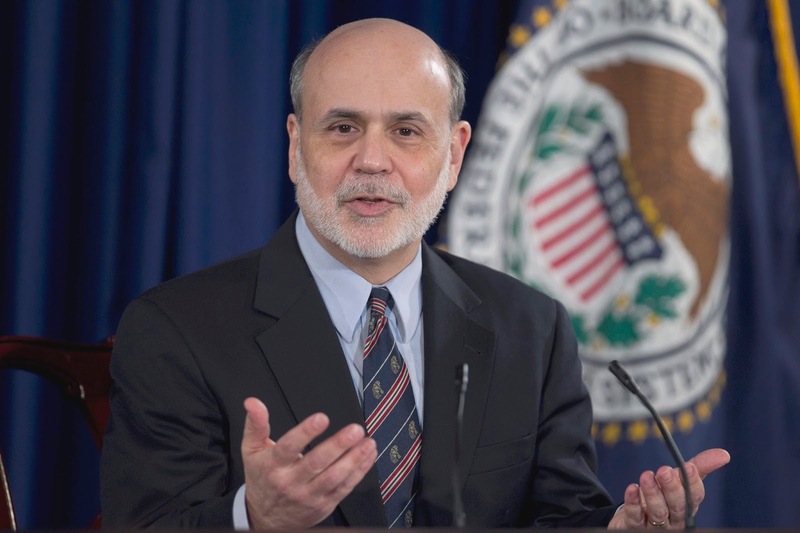 Former Fed chief Bernanke will participate in a discussion tomorrow about the Fed's communication. Ahead of it, he has sketched out his views on his Brookings Institution blog here. Most of the discussion is on the Summary of Economic Projections (SEP), the infamous dot plot. Bernanke defends this communication tool, but implicit in the defense is a recognition that the tool is often misunderstood and misused. Bernanke begins off with what the dot plots aren't. They are not, he explains, a policy commitment by the FOMC. The idea that end of the of last year, the dots showed four hikes this year was not an implicit or explicit promise. That the four hikes have not materialized does not mean that Fed misleads or lied, as some would have it. The dots are not a consensus view at the Fed. They are compiled by the individual participants. Bernanke could not be clearer. "If the FOMC as a whole is going to make a commitment or provide explicit guidance about the future rate policy, it will do that in its post-meeting statement, or the chair will communicate it." The SEP is not a composite of unconditional economic forecasts, the former Fed chairman notes. The dots do not reflect what the official think is likely to happen. The projections are based on views of "appropriate monetary policy." He provides an illustration of what this may mean in practice. An official who thinks the policy is too dovish may anticipate that rates may remain low, given the FOMC consensus, but may lift the inflation forecast. However, the official may submit dot plots that reflect what the official thinks are proper policy, maybe higher rates as inflation moves toward the target. In addition, Bernanke notes that projections are simply the most likely scenario not a range of possible scenarios. Also, the statistical uncertainty of any economic forecast is high, and the SEP are not exceptions to this rule. The dot plots do not reflect that uncertainty or other possible scenarios. Given these parameters, Bernanke defends the dot plot tool. The former Fed Chairman sees the dots a straw poll. It provides the chair with a sense of the range of opinions before the full FOMC meeting. It also provides insight into how the thinking of the different participants is evolving. Bernanke appears to give greater policy signaling strength to the nearer term projections as opposed to the projections over the longer horizon. He notes that all but three officials in September anticipated that a hike before the end of the year would be appropriate, and it does seem that the Fed will move next month. Bernanke also argues that the dots provide important information for long-run economic parameters. These include what economists call the natural rate of unemployment (consistent with stable prices), the trend growth rate (sustainable pace) and the equilibrium rate of the Fed funds. The Fed does not provide long-term estimates for these variables, so the SEP is the best that investors may find. The reaction function refers to how Fed officials respond to economic developments. Bernanke suggests that another value of SEP is that it sheds light why the anticipated interest rate views change over time. He has argued in the past, for example, that the Fed's projected rate path is has been shifted lower in recent years can be traced to officials' changing views on key parameters, like the equilibrium rate of short-term interest rates and the natural rate of unemployment. Bernanke concedes to the SEP critics that individual participant views cannot simply be aggregated to reach a Fed decision. However, Bernanke reveals that on his tenure, there was some experimentation but nothing appeared to work to generate aggregate forecasts in a timely fashion. He supports the continued exploration of ways to improve SEP, but defends it on the grounds that it does provide useful information to investors provided they understand what it is and isn't. The SEP will be updated next month.